Roland today has announced a desktop monosynth that’s all-analog at US$/EUR 499. It’s got a bunch of nicely balanced sound features, plus a sequencer. 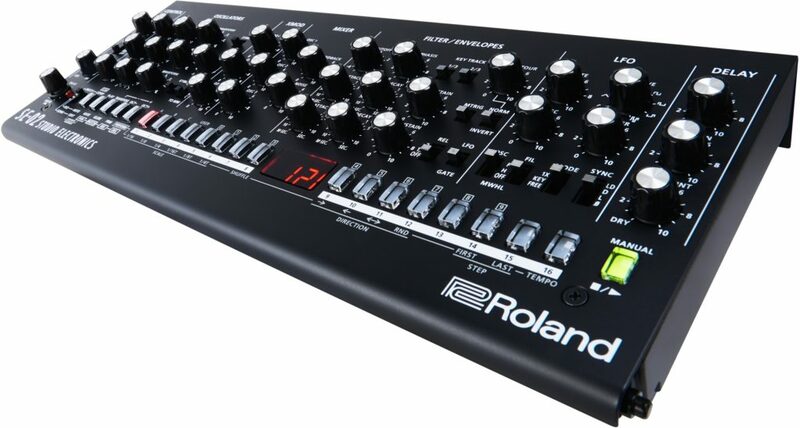 And it represents a new collaboration for Roland, working with an actual boutique synth maker – Studio Electronics. Back to the SE-02, though, it looks great. Oh, yeah, and remember how a certain German manufacturer was going on forums crowing about how it was the only one providing low-cost synths to starving musicians? Uh… about that. So, you get a lot of additional synthesis and sound design functions – which to me is more interesting than another Moog clone, even if this may have a three oscillator architecture and front panel layout obviously more than a little inspired by the Minimoog. Per-step control of every parameter is reason enough to have a look at this instrument. You can also connect to modular rigs with trigger I/O and CV ins. USB does both audio and MIDI. Did I mention this is only five hundred bucks? That puts the Roland head to head with Novation’s Circuit Mono Station, which has its own unique voice architecture and sound capabilities, and the advantage of an 8×4 grid controller (in place of the more conventional step sequencer here). They’re each totally new, totally unique in character, and take a very different approach from one another. I think that adds up to a real win for new designs. We should have access to the new Roland by next week here in Berlin, so stay tuned for a hands-on.